Hello anime club, here’s your update for last weeks meeting. I hope you’ve been doing well with all of your midterms and papers! The panel was Art in Video Games by Max. It was cool to learn about how sound and design influences the players moods. We watched episodes 9 and 10 of Tokyo Ghoul and Samurai Flamenco. Can’t wait to see you soon! Also note: There will be an anime marathon March 14 with a potluck so mark off your calendar. This is Nicole with your weekly update. Make sure to show up to our meeting this week which will be in CSE E119 to experience more magicalness. The Valentine’s Anime Club meeting was lots of fun so if you missed out shame on you! We did an Abridged Project Cosplay panel with the theme of create a magical girl/boy cosplay. If you missed it you can see pictures below. And that’s pretty much all of the excitement from last week. We had lots of food, some pretty cool cosplayers and lots of fun. Thanks a million to everyone who volunteered or worked at Swampcon. You’re the best! For those of you who didn’t, we hope you had a great time and enjoyed the convention. We watched two more episodes of Tokyo Ghoul and Samurai Flamenco as well. 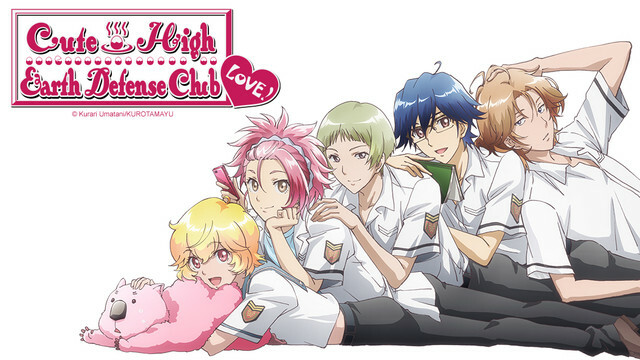 We’re going to be watching love-themed anime. We will be having a potluck with candy, which YOU SHOULD BRING IN FOOD FOR. If you have a love-themed cosplay or you have a friend/lover you wanna do a cosplay with. GO FOR IT. The funner the merrier. So make a couples cosplay with your friend, and embrace it! We’ll take your picture and put it in the anime hall of fame, if we had one. As a little kid, I was a bit of a mythology and folklore hipster: while everyone could list the names of the major deities in the Classical myths, I thought that too mainstream, and decided instead to educate myself in the stories of ancient Japan. Nowadays I can’t really remember anything significant about Japanese folklore and mythology, but that hobby is what got me interested in this anime at the time, although I hadn’t watched it from start to finish it until just recently (like, 3 days ago). The story focuses on sisters Mizuki and Shizuru Hibara. Shizuru is the older sister and has the ability to see things from the “other side” as they call it, which is the world of spirits and demons inspired from Japanese folklore that exists parallel to the real world whose denizens remain invisible to most. 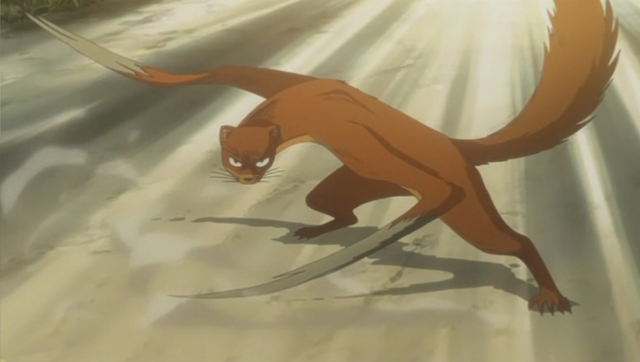 Mizuki, however, is easily possessed by such creatures and oftentimes winds up in dangerous or challenging situations because of this condition. Living in the city, the stress and inexplicability of the Hibara sisters’ abilities is too much for their mom and dad to handle (the idea being that folklore and tradition have been forgotten due to urbanization), so they have them live with their grandparents in the countryside who are familiar with the world of spirits—especially their grandfather. Each episode is a self-contained story, detailing a struggle the Hibara sisters face with monsters from the other world and the lessons they learn from each encounter. This anime provides a good comparison to Mushishi (another anime I reviewed with a similar premise and style). They are both similarly structured, in terms of storyline, and both focus on phenomena caused by otherworldly beings outside of the normal human’s perception. In addition, they are both influenced by ancient Japanese folklore and culture. To me, the first noticeable difference between the two is the interactions between that of the natural and that of the supernatural. 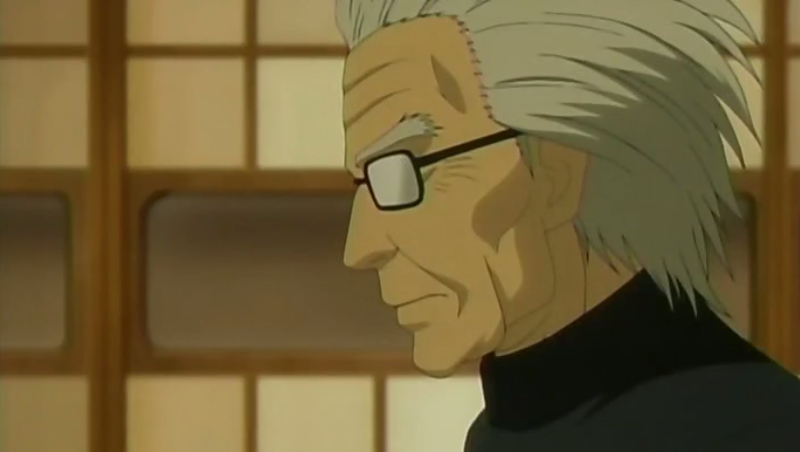 In Mushishi, the “mushi” are often the root of a problem and each episode has an element of mystery as the main character, Ginko, attempts to discover the true nature of the mushi. But in Mokke, the creatures are less clearly defined or classified: they are not species, like the mushi are. In addition, they are often not the cause of troubles, but more of symbols or manifestations of them. In one episode for example, a classmate accidentally breaks Mizuki’s camera which contains pictures of the entire trip. Frustrated and angry, Mizuki is persuaded by a wandering Yama-Uba (like an old mountain hag) to stand up to her and demand an apology. Later, however, the same monster turns on those feelings of anger and nearly devours Mizuki, except that she uses her tactic against her, standing up to the demon with enough resolve to make her turn away. 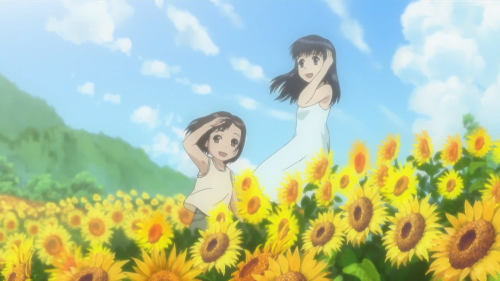 Also different from Mushishi is the dynamic between the sisters that plays out in many episodes. Shizuru is shy and apprehensive, and seeing demons and ghouls around people every day unnerves her. Mizuki is outgoing and energetic, possessing a naivety that leads her into troublesome situations. From their experiences, both of the Hibara sisters learn lessons about coping with others, accepting and rejecting fate, and being observant of the world around them. Another aspect of the show that fits with this scheme is how little screen time and focus the actual monsters and demons receive (although there are a few exceptions). 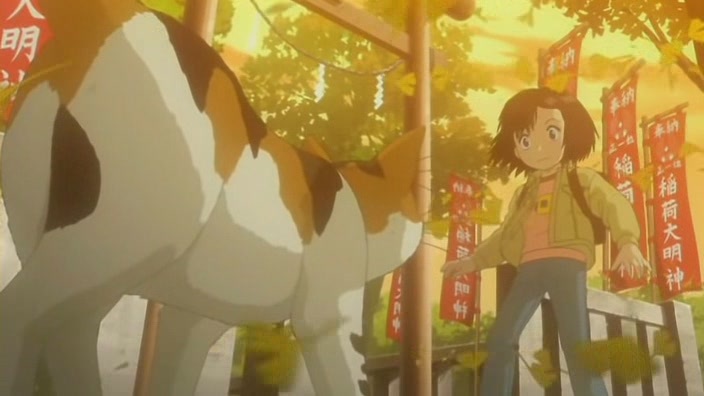 For example, in one episode, one of Mizuki’s friends becomes depressed over losing a scarf given to her by a close friend. 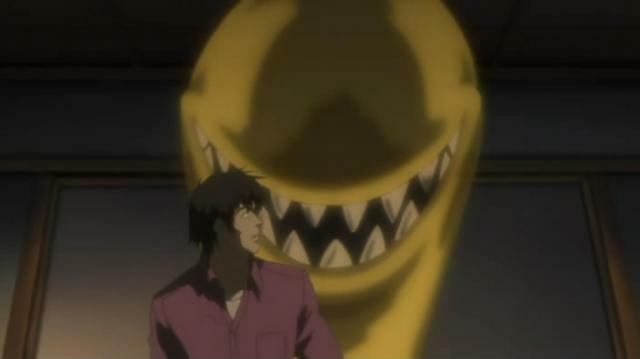 Mizuki is determined to help her find this scarf, but as the days wear on, her friend’s sadness and the fruitlessness of the search takes a toll on Mizuki, which manifests itself as a hazy snake-like monster (referred to as a Jatai) that begins to constrict her movement and leave wounds. Yet, the only time Mizuki actually confronts the monster (and when the viewer sees its true form) is only for about a minute at the end of the episode when Mizuki finally overcomes her burden and finds the lost scarf. This emphasis on the troubles of humans, rather than on the monsters and the supernatural in the story, truly makes it feel like an echo to folkloric tales and makes this anime meaningful. This is comparable to Death Note, in which the Shinigamis aren’t the main focus of the show, but the humans who are borrowing their power. I didn’t think this a necessarily revolutionary anime, but it is unique in its style of storytelling which seems to parallel folkloric tales of the past, in order to teach us lessons about the future. I felt that there was a strong connection between the “other world” and the natural world itself, which is not surprising, considering that a lot of folklore can be considered a metaphor for the real world. People, plants, animals, and earth all coexist and interact in various ways, some that are observable and predictable, and others that are not. The use of tales from Japanese folklore are meant to bring to light some of these relations. One tricky theme from the show that illustrates such complexity of the world is the idea of facing your fears and how and when to do so. Some of the creatures that harass Mizuki and Shizuru can be dissuaded by simply looking at them or ignoring them. Others, if paid too much attention to, may cause you to go insane or even simply kill you. Also, not all of the creatures are evil and not each of them can simply be “cured” or banished with charms. Some may be actually just overly needy and taught a lesson or two. I will admit, it doesn’t have stellar animation, nor the most memorable characters (besides the grandfather, he’s badass). And you might be irked by the simplicity in design of some of the monsters encountered in the show; although many of the references to mythological anecdotes and ideas sound very well crafted: if most of them weren’t ever actual traditions in Japan at some time, I’d be surprised! However, Mokke is more about ideas and concepts than characters and designs. Like Mushishi, it focuses on philosophical ideas and observes connections between humans and nature. It attempts to draw to your awareness the world and people around you and the greater interconnectedness in all things. The rooms for this semester are really wonky so pay attention. Make sure not to go to the wrong place at the wrong time because no one will be there and you will be confused. Last meeting the panel was Guess the Anime by Chelsea. We watched 2 more episodes of Tokyo Ghoul and Samurai Flamenco, so episodes 5 and 6. I usually don’t tell people the panel for the next meeting but I think it’s relevant. This panel will be on things to do at Swampcon so if you’re planning on going to the Con, whether its your first or your hundredth con, make sure to come so you’re prepared to manage all of the awesomeness. Which brings me to…. SWAMP CON. It’s this weekend at the Reitz and you all better be there!